Short on funds? Consider yourself to be a conservative player? Just testing the waters? 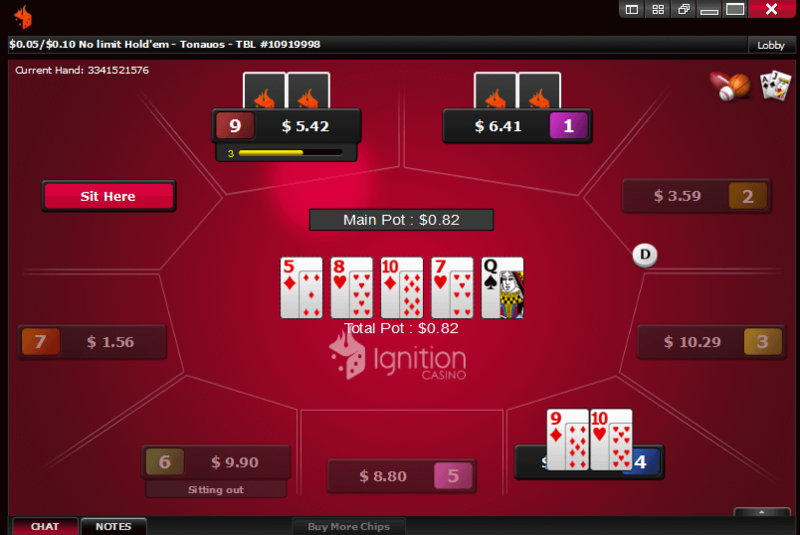 Then low stakes poker games are designed just for you. And you can find them pretty much anywhere. What is Low Stakes Poker? Low stakes poker has achieved huge popularity online in recent years, and for a variety of very good reasons. Playing poker for low stakes is the more affordable option, obviously, but it also appeals because you can play in high volume and this may increase your overall chances of achieving a profit. Another reason online low stakes poker is so popular is that it gives beginners a great grounding in the game, without causing them to lose large amounts as they progress from novices to accomplished players. At the same time, this appeal to beginners also attracts the more polished poker players to low stakes games, because they can smell fish a mile off (fish being raw players) and sense the chance to capitalize. How Low do Low Stakes Go? Low stakes poker can be played as low as the 5-cent level, which would fit into an area that has become known as "micro stakes" poker. There is no set range to classify micro stakes, but most experts consider anything from 5 cents to around $2 stakes to fit into the micro category. Low stakes in a real casino might be $20 a hand in Las Vegas, but things go a lot lower when you're playing online. What Poker Games Can You Play? 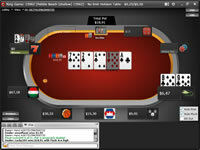 Texas Hold'em is the most popular poker format available for low stakes real money play online. If you're not familiar, Hold'em is a game of two hole cards (face down) and five community cards (face up). The aim is to make the best possible hand of five cards using your two and three from the community. 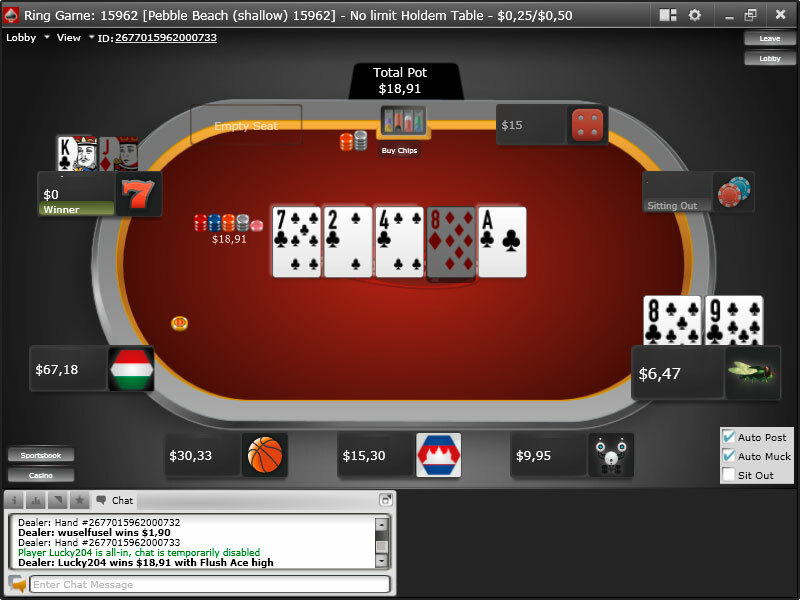 Many other poker formats are also available for low stakes play online. These include Razz, Omaha Hi/Lo, Stud, Draw, and many subtle variations on a theme besides. If it's low stakes poker you're wanting, you'll find excellent variety at the sites listed above. Yes you can. There are myriad online low stakes tournaments you can enter every day, with a huge range of formats ranging from Sit N Go tournaments, to Multi-table tournaments, Heads Up tournaments and beyond. By low stakes tournament play we mean online real money poker tournaments with very low buy-in fees. You'll even find some real money tournaments that have no buy-in whatsoever, with the pot funded by the online casino. Can I Win Big Money Playing? Entire books have been written on this subject, such is the trend for online poker players to chase a healthy return on playing low stakes poker in high volume. You're not going to become a millionaire playing 5 cents online poker, but it is possible to rack up thousands in winnings if you're a smart enough player and prepared to put in the hours. The biggest reason for this is the fact small stakes poker undeniably attracts a large pool of weak players. It's an obvious entry point for newbies and thus you're always going to find small stakes games and tournaments flooded with what the poker community terms as fish. Some players will develop small stakes poker strategies that apply to the big picture. There are lots of opinions out there on which strategies work best, but it's unquestionably possible to make some good cash from small stakes online poker. Is Playing Poker Online Legal? That depends entirely on where you're playing. Some parts of the world deem it completely legal to play online poker for real money, while others deem it illegal. As the law applies specifically to the U.S., the legality of online poker differs from state to state. We would always advise you consult with a legal professional if you require clarification in this area. How Do I Register to Play Online Poker? The first step is to set up an account at a real money poker website (see the sites listed above). 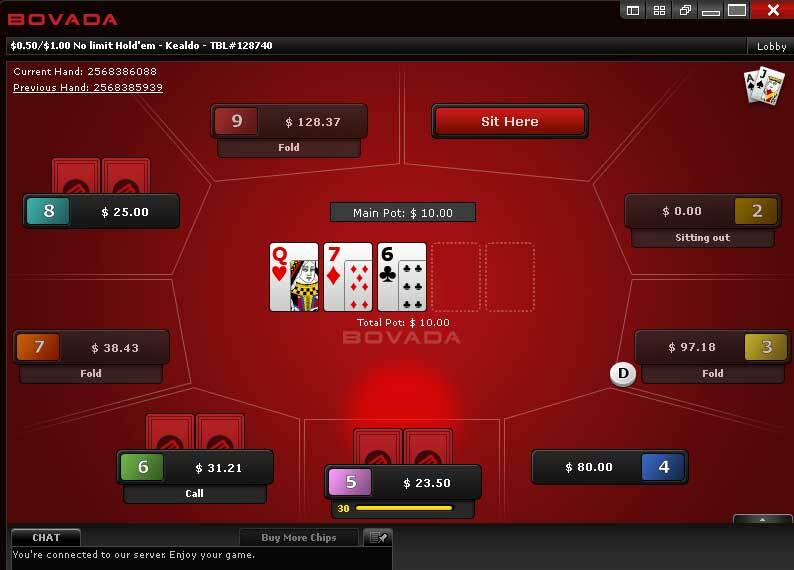 From there, you'll need to make an initial deposit into your online poker account to activate it. Once that's done you should be instantly eligible to enter all small stakes poker games the site has currently available. If you're not quite ready for small stakes poker, there is an even gentler entry to the game available. All the major real cash poker websites offer a free play area, where you can get to grips with the formats on offer and grow in confidence. You won't get the rush you'll get from playing for real cash, of course, but when the times comes to play small stakes poker you'll be ready. It's 100% safe to play online small stakes poker if you stick to the sites we've recommended. These poker sites have all been thoroughly vetted for their software security measures and they're guaranteed to protect your personal and banking details online.